Northern Dauphin County, PA for over 50 Years. We pride ourselves in stocking high quality lumber and building materials. Our goal has always been to provide a high level of friendly, personalized service. Klinger Lumber Company was established by its founder, Earl E. Klinger in 1956. He started the business in the back alley behind his residence on East Broad Street in Elizabethville, Pa. Over the years the business grew and was eventually relocated in 1962 to its current location at 3903 Route 225 in Elizabethville. We have grown from a one-acre, single delivery truck business, to a five-acre, 9 truck operation. Our service area now includes areas from Harrisburg, north to the Sunbury area, and from Hegins, Tower City area to as far west as Perry and Juniata Counties. 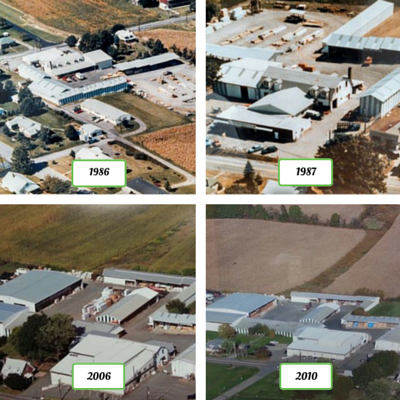 Our most recent expansion in 2000 included the construction of a 12,000 sq. ft. drive-thru building, which is used to store our entire inventory of framing lumber.